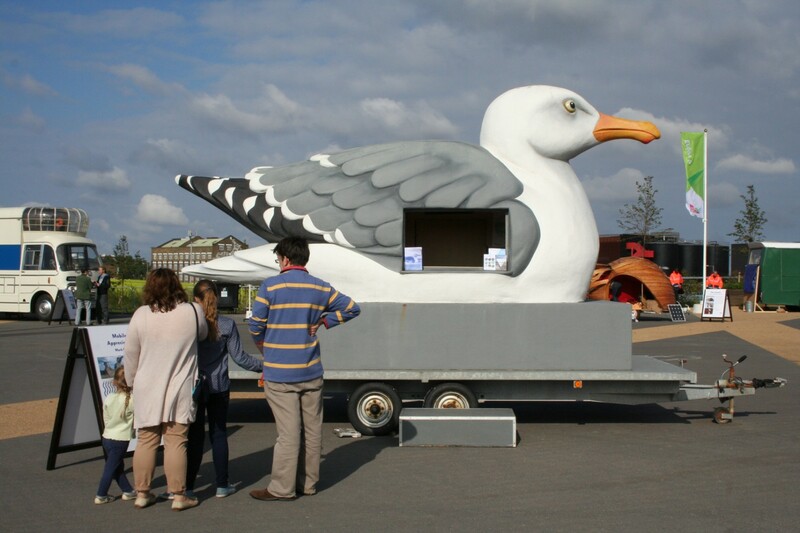 “Gulls are the most conspicuous non-human denizens of Folkestone”, Mark Dion declared after his first visit. 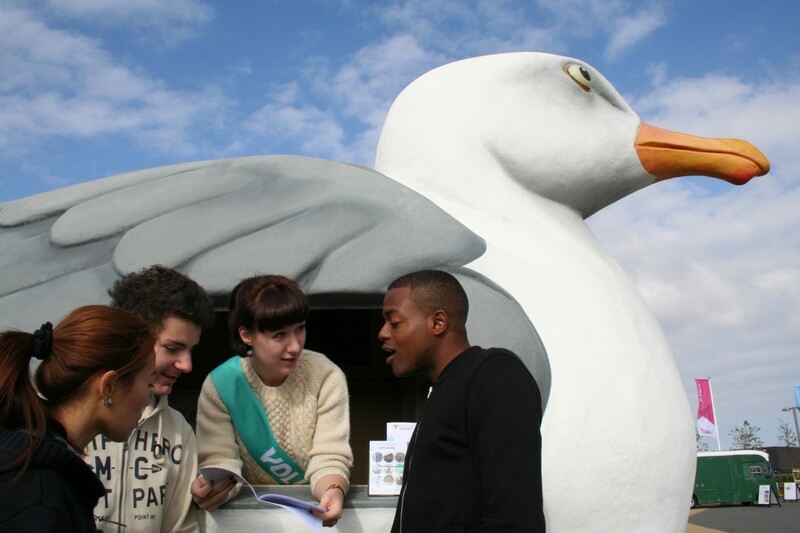 The Mobile Gull Appreciation Unit functions as a clearing-house for information about the evolution, ethnology, natural history, environmental status and folklore of these remarkable animals. Folkestone is lucky to be host to a rather rare type of seagull – the Mediterranean Gull – which is found in larger numbers here than anywhere else in the UK. A Field Guide to the various local gull species, produced in collaboration with local gull enthusiasts is available from the Unit. 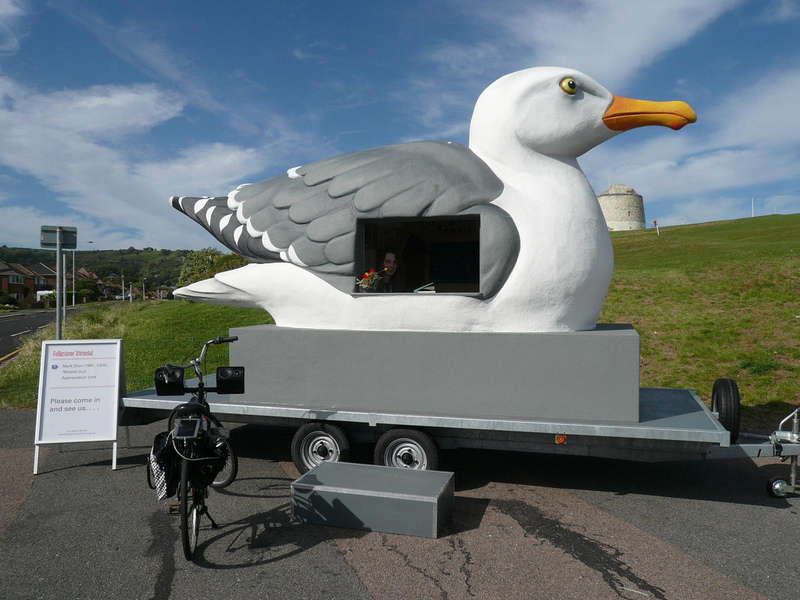 The Unit primarily nests in the Folkestone Harbour, but often relocates to other urban environments for public events and festivals. 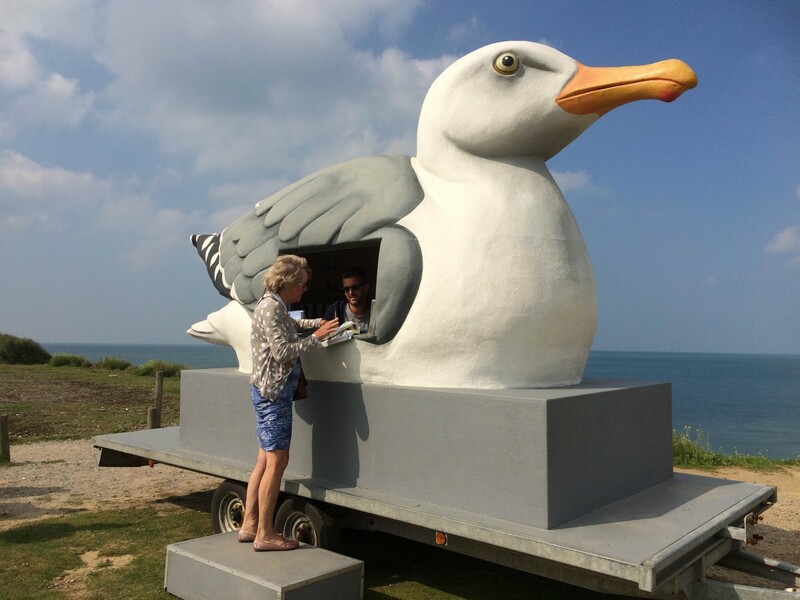 For information on when you can next see The Mobile Gull Appreciation Unit, please contact Ioannis Ioannou ioannisioannou@creativefoundation.org.uk or call 01303 760 744. This artwork is not viewable on a daily basis but can be seen at special events.